Free UPS or FedEx ground shipping to continental USA. 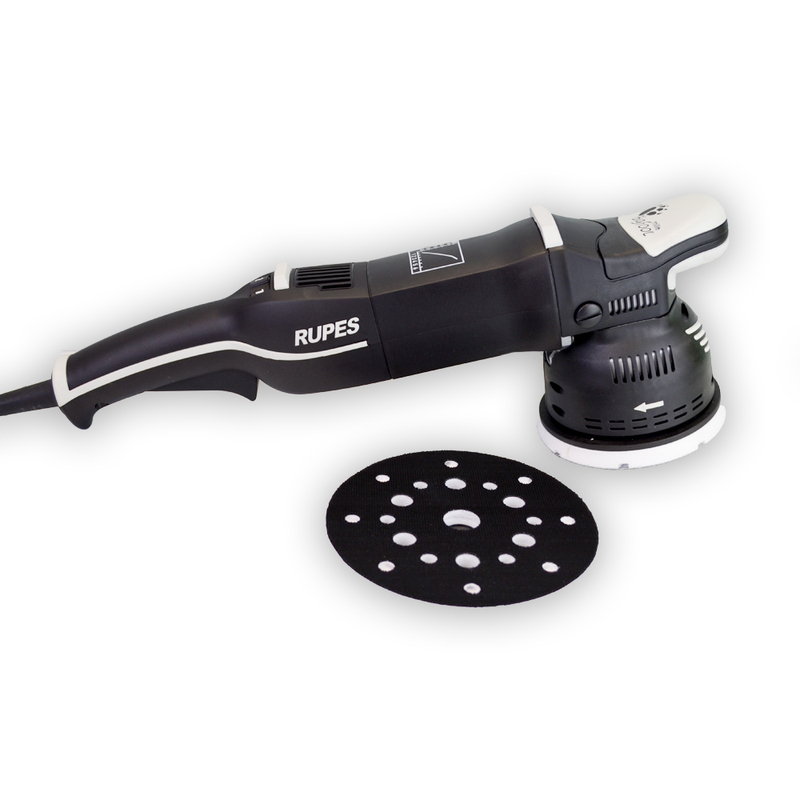 The Rupes LK900E is a Gear Driven Dual Action Polisher. The Bigfoot Mille LK900E bridges the gap between rotary and free spinning orbital polishers. The Rupes LK900e has a forced circular motion, but it also oscillates in a random pattern to simulate hand application. It features a 5” and 6” backing plate with a 5-3/16” orbit. This 900 watt unit features a revolutionary clockwise rotational movement to deliver powerful scratch and swirl removal. 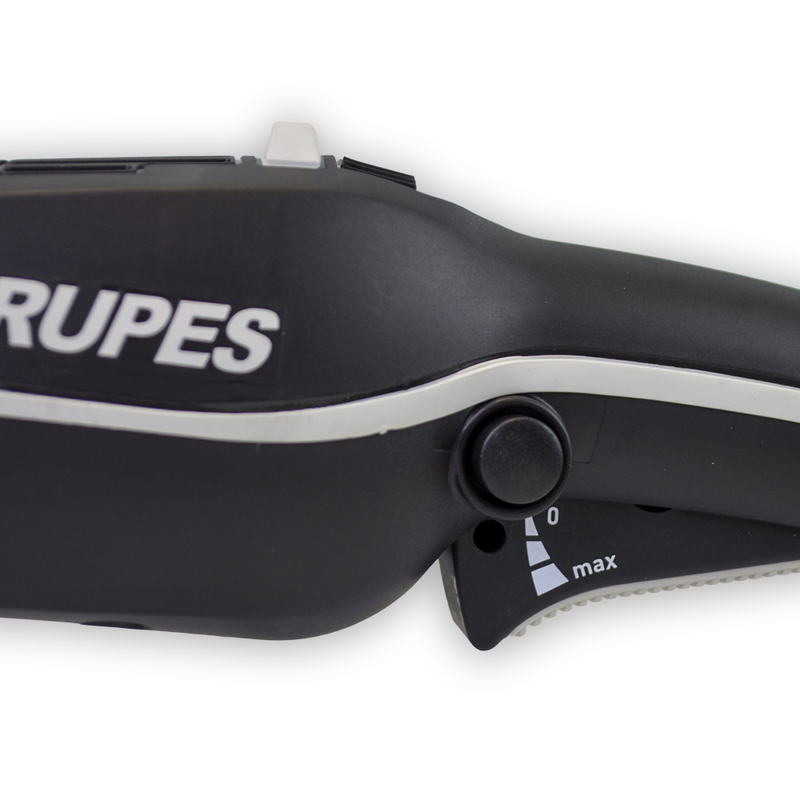 The Rupes LK900E is ergonomically designed for comfort and ease of use. The Rupes LK900E features a variable speed trigger, meaning the buffer will start out slow if you pull the trigger part of the way, and increase speed (up to the speed you have it set at) until the trigger is fully engaged. It’s 6 speed switch produces rotations from 265-535 RPM. • Forced Gear Driven Rotation - The Rupes LK900e has a forced circular motion, but it also oscillate in a random pattern to simulate hand application. • 2 Included Backing Plates - The Rupes LK900E comes with two backing plates a 5" and 6", allowing you to use the right sized pad for the right job. • Two-Handed Handle - The tool is so well balanced that the operator can easily control it with just one hand. The rubber coated housing cover provides the operator maximum control and the two-handed handle allows for an ergonomic friendly front end grip. Thanks to this feature, even a novice technician can easily handle the tool. • Speed Regulation - The variable speed dial is handy, easy to use and allows the operator to control the speed of the tool even when the tool is operating. • Trigger Lock - The trigger lock on the right side of the handle can be depressed to lock the machine in motion. This action allows the tool to run effectively without the operator continuously depressing the throttle lever and is a great help in one-handed applications. • Design - The unique hi-tech design makes the tool extremely comfortable to operate and has the added benefit of making it very easy for the operator to keep the buffing pad absolutely flat on the targeted surface.